Ignatz Waghalter rose from an impoverished childhood in Poland to become conductor at the newly founded Deutsches Opernhaus in Berlin in 1912. Here, the first performance of his youthful comic opera Mandragola, attended by luminaries such as Richard Strauss, Busoni and Humperdinck, won him huge acclaim: the Overture and Intermezzo reveal his orchestral mastery. 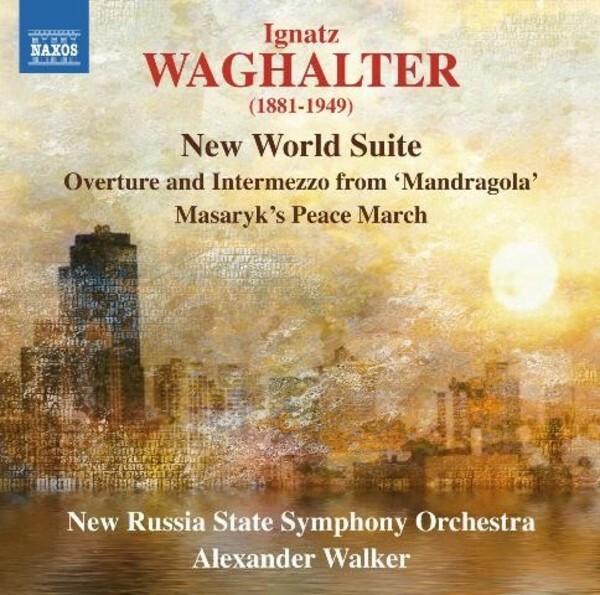 With the rise of Nazism, Waghalter left Europe for America, where he strongly identified with the Afro-American cause, and began work on the New World Suite, ten short movements of rich melodic imagination that illustrate his constant desire to write approachable and lively music. Volume 1 in this series  was an ICMA (International Classical Music Awards) nominee.